Village house for up to 5 people, close to Gaios square and beaches. Car hire is not needed but there is a private parking area. Just a 2 minute walk to the main square of Gaios. Speedboats depart every half hour from the square to reach the sandy beaches of AntiPaxos – or one can take a hired boat across – a journey of around 20 minutes. The nearest beach is just a 10 minute walk away. The main square of cafe bars has a waterfront overlooking the pine-covered islet of St Nicholas and leads to a selection of narrow, no-car streets with an attractive variety of shops, bars and tavernas. The delicious bread and pastries at Anna’s bakery make it difficult to choose; tavernas vary from simple grill room to pizzeria to waterfront fish restaurants and traditional dishes prepared by local families. A coastal road leads south from Gaios to the sandy bay of Mongonisi and passes a selection of coves and beaches. 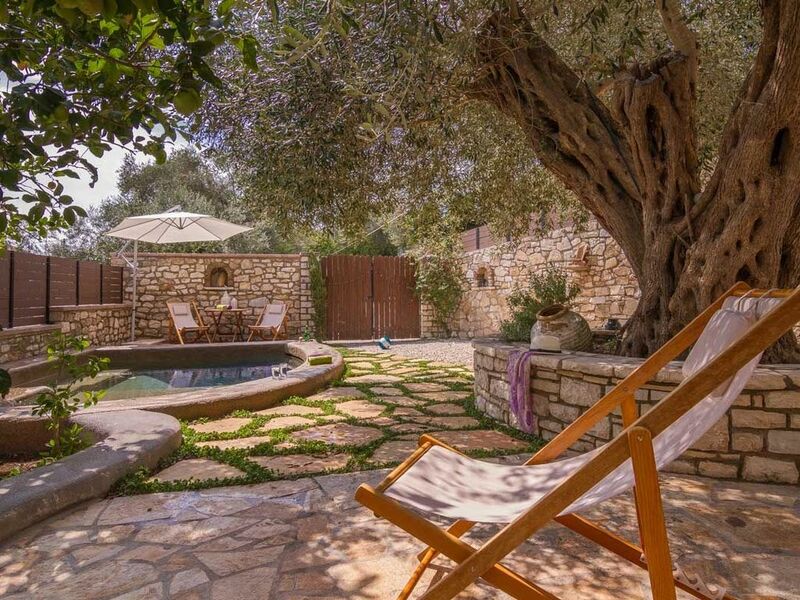 Angelika is one of the prettiest and most comfortable houses in Gaios. Dimitris is our Paxos manager (based on Paxos). He can help with your transfers from Corfu (hydrofoil or fast boat) and car hire if needed. He is contactable at anytime during your stay at Angelika for any help or advice.